Riot Games is topping the most watched channels chart for another week as the LCS championship continues. The company's official Twitch channel upped its views by 19.8 per cent last week. The Overwatch League Twitch channel is in second and is a new entry to the top 10. The channel racked up over 3 million hours watched last week covering season two of the OWL. Streamer summit1g falls into third place after a stint at the top. 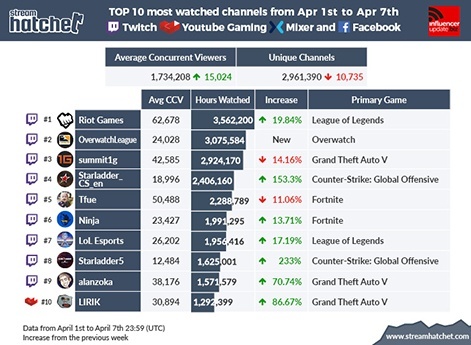 A 14.1 per cent decrease in views has put the GTA: V focused Twitch star behind two esports-centric channels in the last week. Starladder_CS_en on Twitch takes fourth place this week, after a huge 153.3 per cent rise in views. The channel belongs to the Starladder esports company and is currently focused on CS:GO. Tfue is in fifth, down from fourth place after an 11 per cent decrease in hours watched. Ninja takes sixth for a second week running, managing to hold on to the spot after a 13.7 per cent increase in hours watched. Seventh place is occupied by Twitch channel LoL Esports, which experienced a 17.1 per cent increase in hours watched and was only around 30,000 hours short of taking Ninja's spot. Starladder5 takes eigthth, another channel belonging to the Starladder company. The channel saw a huge 233 per cent increase in hours watched last week, covering season 7 of the StarSeries & i-League CS:GO tournament. Twitch streamer Alanzoka takes ninth place, a new entry to the chart after bolstering hours watched by 70.7 per cent in the last week. 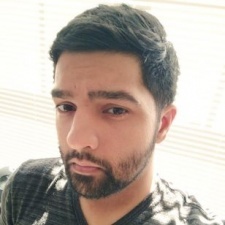 They're closely followed by LIRIK, another one of Twitch's popular battle royale streamers. 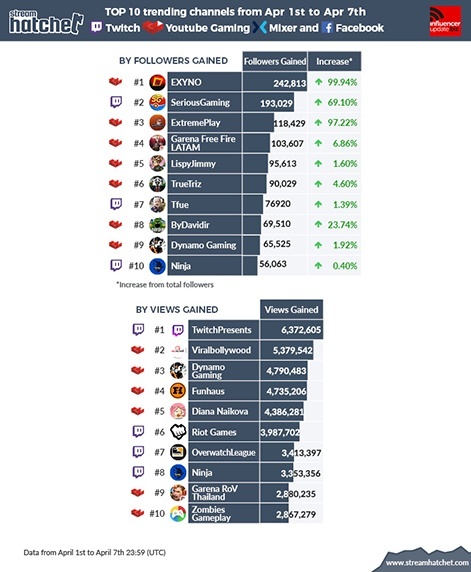 However, both Alanzoka and LIRIK have experienced leaps in views after focusing on GTA: V.
The chart below shows the top 10 channels and creators trending by the number of followers or views they have gained in the last week.